Your help can save a young patient and 3 more lives(his mom,dad,sister). I, Juhi Jani, coming from middle class family. The reason for getting in touch with you is my brother Vraj Jani, 18yrs. 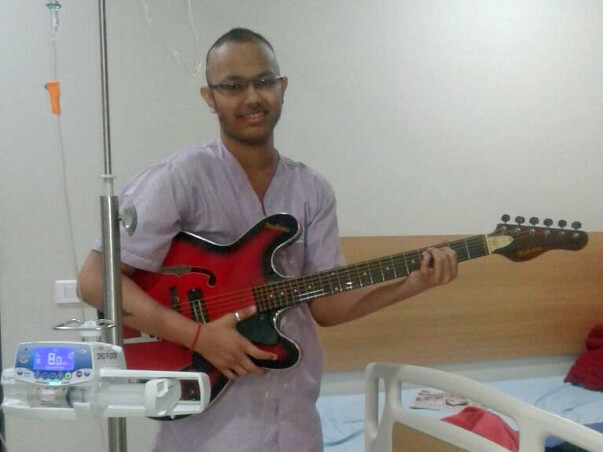 old computer engineering student from Babaria Institute of Technology(BITS), suffering from Acute Lymphoblastic Leukemia(ALL)/Blood Cancer. He was detected on March 03, 2017. and was treated for the whole year with Dr. Seema Bhatwadekar (Hematologist-Oncologist) at Bhailal Amin General Hospital, Vadodara but of lately he has now been shifted to Sterling Cancer Hospital, Vadodara but unfortunately while his treatment he had relapsed in his cancer cells on December 20, 2017. due to which several cycles of painful chemotherapy is in progress. Its been one year of his treatment and due to relapsed doctor suggested there is only one last option to go for Bone Marrow Transplant which is the stage where you can support him. The Bone Marrow Transplant (BMT) requires special care and the care comes with cost. Being middle class family, have already exhausted all our earnings and savings in last year for his treatment. We have incurred medical expenses of Rs. 33 lakhs till now. 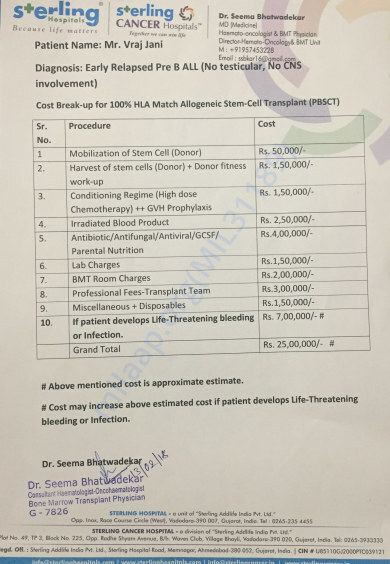 Due to relapsed of Leukemia followed by Bone marrow Transplant at Sterling hospital would cost another 25-35 lakhs which is beyond our means. It is very sad to inform that my brother is no more. He died last week on April 30, 2018 and left us all alone. But my brother was a fighter and he stuck to his motto "Never Give Up"and never gave up till his last breath. I would like to thank all the supporters and donors for contributing in this campaign and for prayers for his recovery but unfortunately this is what god wanted. As I said he was fighter and he is an inspiration to world out there and he will never die as he is in our hearts and prayers. My brother Vraj is still fighting for his life to get fast recovery but unfortunately or can say his bad luck there are other issues which are added to his disease. Last week due to severe stomach pain doctor recommended sonography and CTSCAN for his abdominal pain which resulted into swealling on pancreas due to which he is moved to ICU in Bhailal Amin Hospital for constant monitoring. Due to this his is having severe abdomen pain and has swelling from toe to stomach which resulted into stiffness of body and breathing problem.Also due to swelling on pancreas there is effect on his liver and intestine so he kept puking for couple of days thereafter doctor suggested not to eat anything or drink water orally. Doctors told it will take 10-15 days for recovery and thereafter there is no guarantee for anything. 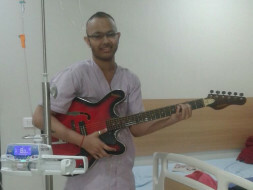 Still I have a hope that medicine and prayers will save my brother and will give strength to fight against cancer. It’s my request to all supporters that please keep forwarding this campaign and pray for his fast recovery. Thank you so much for your tremendous support. Recently, my brother’s condition was very critical as he had a conversion this Saturday and was shifted to ICU. Now he has been moved to general room for his further treatment. As I mentioned, his treatment is going on in Sterling Hospital but after taking into consideration several factors, it was decided that he will be treated in Bhailal Amin General Hospital, Vadodara, under the supervision of same doctor Ms. Seema Bhatwadekar. Due to conversion and relapsing of his cancer cells as on 30th March 2018, doctor suggested not to go for chemo therapy or BMT as his body is not ready yet due to several body pain, for which several pain killers are given to him everyday. We are all praying and hoping for his fast recovery. Please keep supporting us. I hope Vraj gets well soon. He will be in our prayers.